The people of Toronto have spoken, and the new waterfront street in the East Bayfront neighbourhood now has a name: Merchants’ Wharf. While we were hoping for something more startling or unexpected—like “Water Street” or “Waterside Way” or “Street-by-Lake Drive”—Merchants’ Wharf is perfectly acceptable. 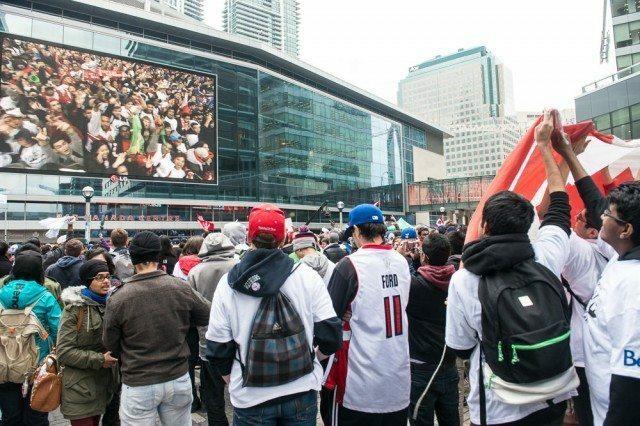 Stephen Harper, Kathleen Wynne, and Jay Z (who’s slightly less involved in Canadian political circles) took to Twitter to wish the Toronto Raptors well. And they deserve good wishes, because they played pretty well. And came very close to winning—very, very close to winning. That’s the kind of phrase that creates a nice rhythm when one repeats it over and over again while bravely fighting back tears.